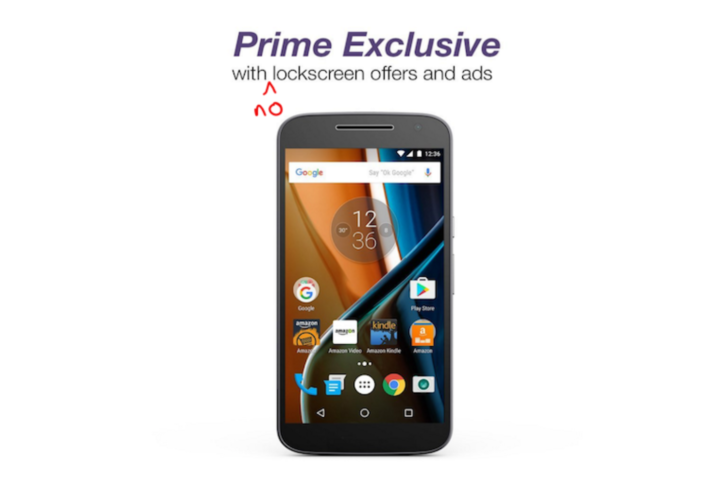 Amazon's Prime Exclusive Phones program has been a great way to grab an Android device on the cheap since its introduction in 2016, but the discount has always come with some compromise: a locked bootloader, Amazon-flavored bloatware, and—perhaps most annoyingly—ads on your lockscreen. The decision to remove the ads comes on the heels of the discovery of a security flaw recent reports involving the ads that allowed the lockscreen to be bypassed while on-body detection was active (an intentional part of the on-body detection feature). While the removal of intrusive promotions is a nice perk for consumers, it comes at a price: new Prime Exclusive phones will cost an extra $20. XDA Forums user DarkPhoenix7878 was kind enough to extract and share the new Amazon Offers APK after he received the update on his own device. You can grab the ad-banishing APK over at XDA now. This article has been updated to correct the mention of the lockscreen bypass previously reported on, which wasn't a security flaw but a feature that has to be manually enabled. As smartphone technology has evolved, we also want to evolve the Prime Exclusive Phone experience to ensure customers can easily use new features. This change allows customers to more easily use their phone’s mobile unlock technologies on their Prime Exclusive Phones, including facial recognition and fingerprint sensors, as well as to personalize device lockscreens with photos or wallpapers.